Each specializing in their unique areas of expertise. These individuals will represent the best and brightest Africa has to offer, introducing thoughtful challenge amongst their peers as they grow in courage, fair-mindedness and integrity. Their stay and studies will be fully-funded and backed by Standard Bank as part of our commitment to enable and empower them to become effective leaders in Africa. 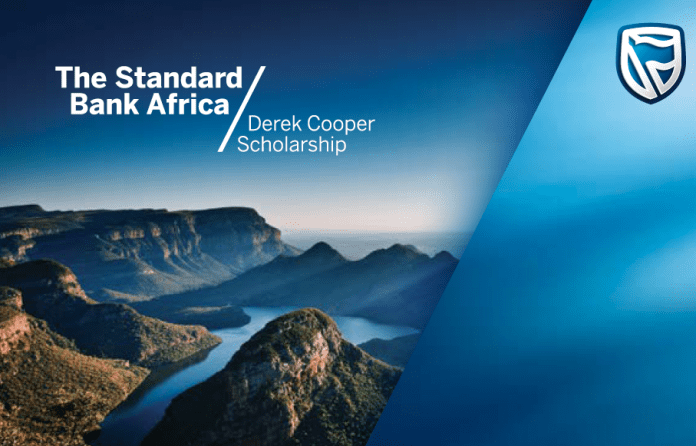 The Standard Bank Africa, Derek Cooper Scholarship is available to graduate students who are and will ordinarily remain resident in one of Standard Bank’s African presence countries. Master’s programme at either of the following partner university institutions: Oxford, Cambridge and London School of Economics and Political Science (LSE). Previous articleGSMA Disaster Response Innovation Fund 2017 for Innovations on disaster/crises.